This year’s Eid al-Adha, the Islamic feast of sacrifice[i], comes at a challenging time. Debates over Islam’s true nature rage like the battles fought in the deserts of Iraq and Syria. For many, the only images of Islam today are slender knives, black flags, and hooded faces. For me, these are daily images, too. But they aren’t the only ones. In these recent months, I have encountered new ideas and truths in the religion of Islam which have enriched my own understanding of God, and that have provided me with new perspectives about what it means to be a believer. These “rays of Truth” in Islam have helped me reflect on my own tradition, and they point out similarities among the Abrahamic traditions. Given the tragedy of world events, it seems imperative that I now share them. I hope these brief reflections can not only shed light onto a religion that is still unknown to many, but also spark inward, personal conversations about humans’ relationship with the Divine. Muslims begin prayer, meals, and most tasks by invoking God using the phrase, Bismillah ir-Rahman ar-Rahim, which means “In the name of God, the Most Compassionate, the Most Merciful.” This invocation also introduces nearly every chapter of the Qur’an, and points to God’s chief attribute in Islamic theology: rahmah, mercy. 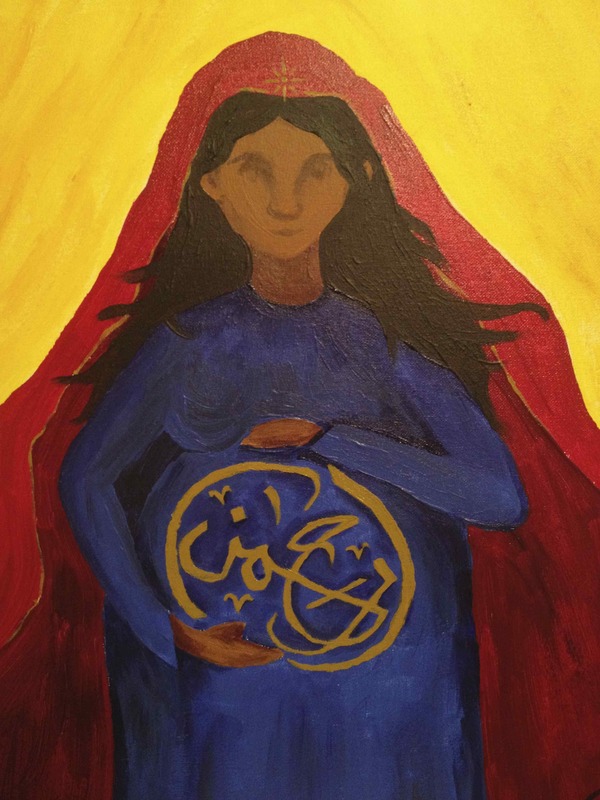 A painting by me, featuring the word, “rahman” in the womb of Mary, Mother of Jesus. 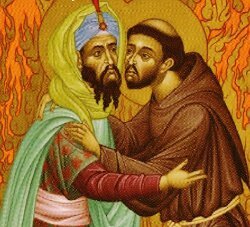 St. Francis and Sultan Malik al-Kamil. St. Francis of Assisi, the saint whose life Catholics celebrate on this day, recognized the value in Islam’s conception of God, too, and found in it similarities with his own Christian faith. Shortly after his days-long dialogue with the leader of Egypt, Sultan Malik al-Kamil, whom he initially sought to convert to end the fighting between the Crusaders and Muslims, Francis wrote a litany, celebrating God’s many attributes. Unsurprisingly, it resembles the Islamic litany of God’s 99 names. The first attribute in the Islamic litany, and the last in Francis’, is “merciful.” This is no coincidence, as scholars of Francis’ life have noted. A second theme in Islamic theology that has prompted much reflection is the Qur’an’s surprising and “radical contrast” between shukr and kufr. Shukr is “gratitude” or “thanksgiving,” while kufr is often defined as “denial” or “unbelief.” This may seem like a strange, illogical set of opposites at first, so let’s dig deeper. One of the places I’m grateful for. Eminent Anglican scholar Kenneth Cragg describes kufr as the “willful concealment” of the blessings of God, who creates and sustains humanity and all of His creation. God has imbued the world with many signs (ayat) meant to “alert us to reverence and thanksgiving,”[iii] and when we ignore these blessings and our God-createdness—often by disregarding the dignity of God’s creatures—we become kuffar (ungrateful disbelievers). Being grateful and worshiping God don’t just mean saying thank you and acknowledging God’s existence, but in caring for humanity and working to establish social justice. God says in the Qur’an: “Worship is…(showing) kindness to parents and to the near of kin, and orphans, and the needy, and the neighbor who is a kinsman and the neighbor who is not kinsman, and the fellow traveler and the wayfarer.” (Q. 4:36) The Qur’an, like the teaching of Jesus in the New Testament, measures a person’s religiosity not only by their beliefs but by the way they respect all of God’s creation. The last bit of Islamic theology I’d like to highlight is one that a new friend, Scott Alexander, a Catholic scholar of Muslim-Christian relations, brought up during a recent conversation. Islam, like Christianity, is a monotheistic religion. 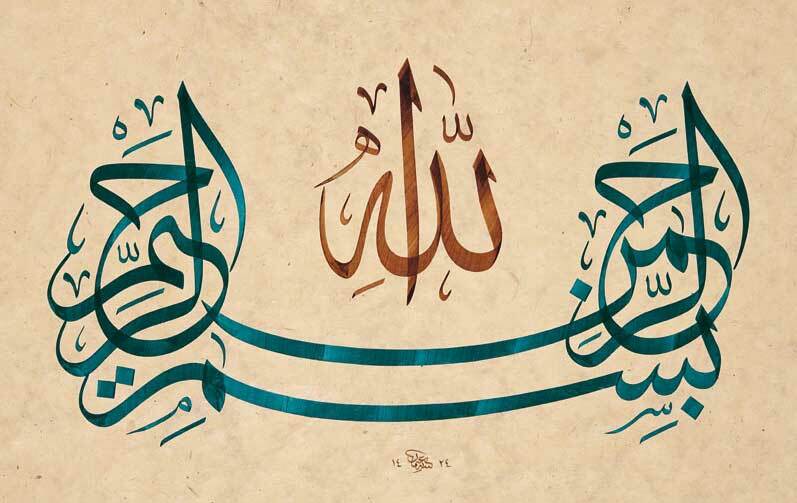 This monotheism, which is distinct from that of Christianity by its rejection of the Incarnation and the Trinity, is described by the Arabic word tawhid. This word is sort of an umbrella term for a larger theological discussion about the nature of God, but what I want to focus on is a bit different. Again, we look to the Arabic language. 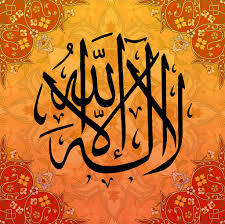 “There is no god but God.” Did you know this is the same phrase that is one the flags of many Muslim-majority countries? And the flag of ISIS? The Arabic root of tawhid, w-h-d, means “one,” or “single.” But when put in this construction, (with a ta- prefix and a long “e” sound between the last two root letters) the meaning is affected. This construction, which students of Arabic will recognize as a Form II masdar, means “making one” or “unifying.” It is not a passive state of “being one” but something we do to God— making God one. 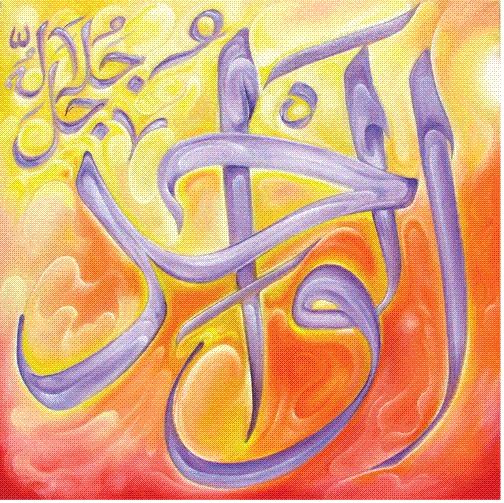 “The One.” One of God’s 99 names in the Islamic tradition. Monotheism isn’t just about acknowledging God’s oneness, but about putting God at the center of our lives. It is about living out this popular Catholic hymn: “You Lord, are the center of my life/I will always praise you, I will always bless you/ I will always keep you in my sight.” Tawhid is not so much a belief but something we undertake. Yom Kippur, Judaism’s most important feast, is a celebration of the Hebrew people’s turning away from—repenting—the worship of the golden calf, and fixing their eyes again on God. Today’s feast of celebration and sacrifice for Jews, Christians, and Muslims is an opportunity for us to put God back at the center of our lives, to live out our monotheism in a way that honors God and humanity. 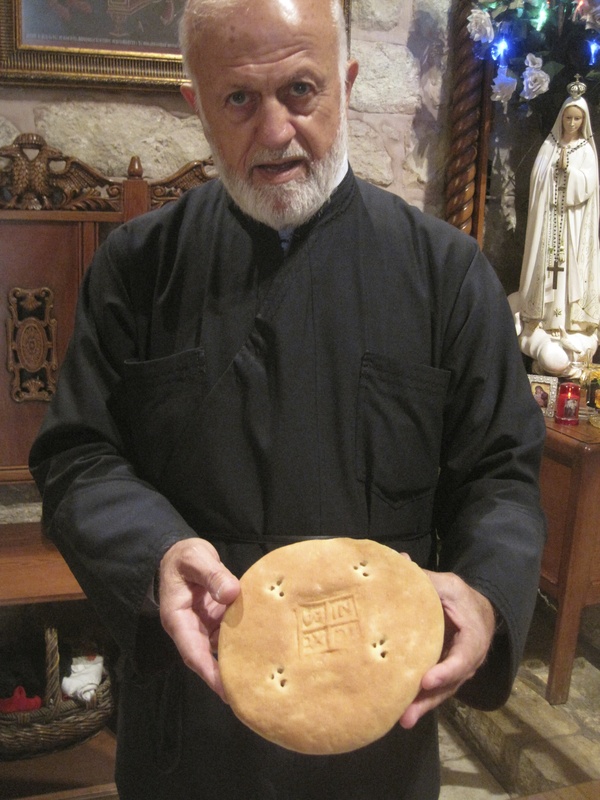 An Orthodox priest showing me the qurban (Eucharist) at an ancient church in Al-Salt, Jordan. Muslims often call this feast, Eid al-Qurban. Qurban is another Semitic word for sacrifice and is used by all three religions. It is used in Hebrew to describe the burnt sacrifices offered by Jews, and for Syriac- and Arabic-speaking Christians, it refers to the Eucharist, the sacrifice of Jesus Christ on the cross. The term, from its root q-r-b, connotes “closeness,” “approaching,” and “nearness.” The ritual sacrifice of animals in the case of the ancient Jewish and contemporary Muslim traditions, and the sacrifice of Jesus—the Lamb of God—in the Christian tradition, all seek to atone for the sins of the community and bring the community closer to God. 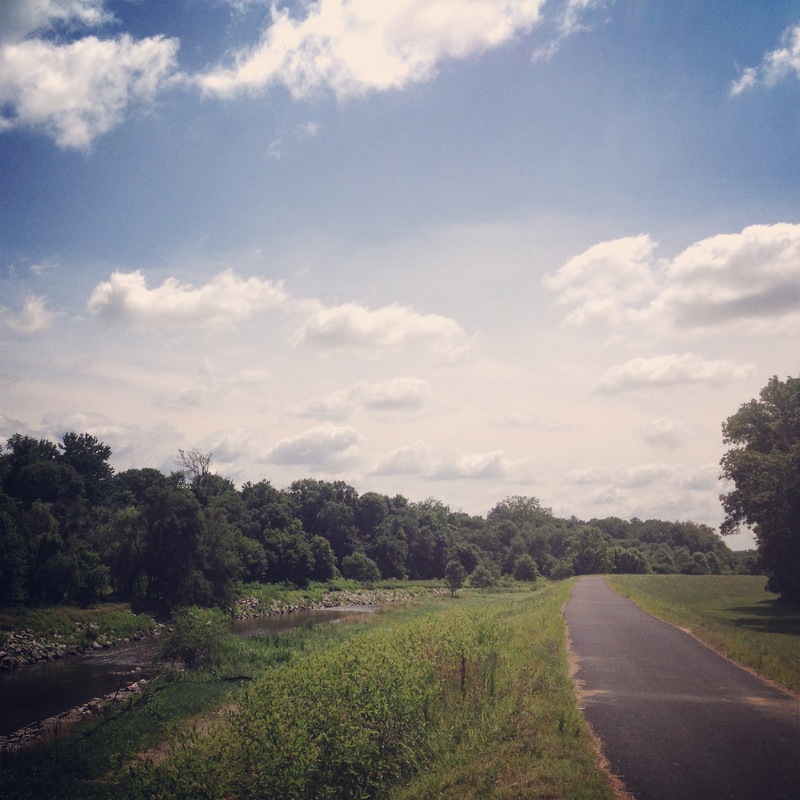 [i] To learn more about Eid al-Adha, check out my blog reflection from 2010. [ii] To read more about God’s primary quality in Islam, check out My Mercy Encompasses All: The Koran’s Teachings on Compassion, Peace & Love. [iii] Cragg, Kenneth. Christian Lives Given to the Study of Islam. [iv] The famous Muslim feminist scholar, Amina Wudud, writes about gratitude here. Thank you for this post. You do a very good job of schooling us, both on things about Christianity that we’ve long forgotten and introducing most of us to snapshots of Islam.